But clearly, am not busy enough to update my cooking class schedule for October. By the way, MAKATI CLASSES ON WEEKENDS! Yes. Stay tuned, they are in the works, and I am as excited as you are. Scroll down to the bottom of this post for details on signing up. 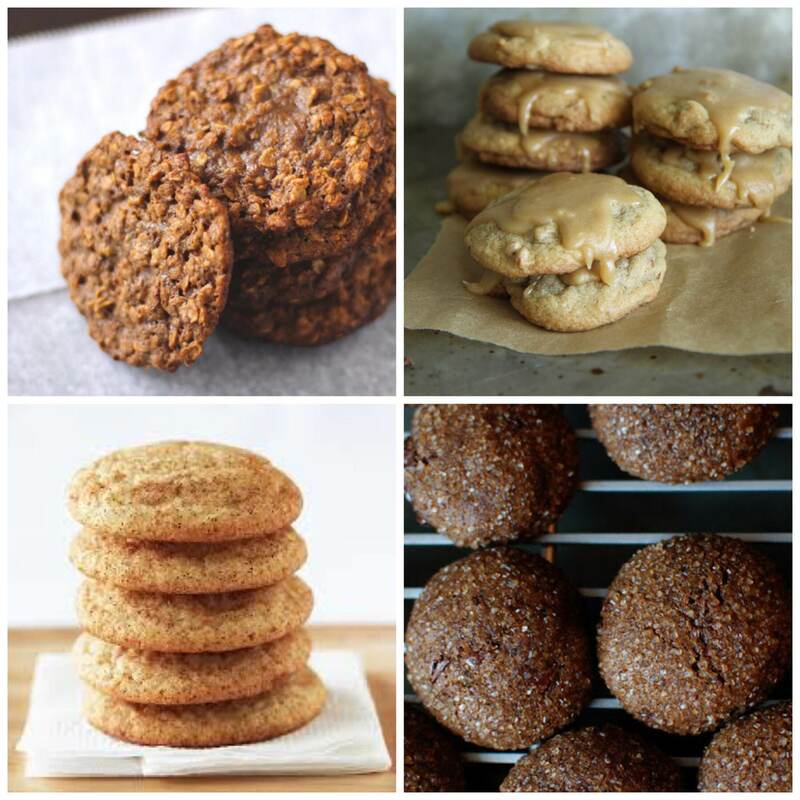 Learn how to bake dairy-free and egg-free versions of popular cookies in this NEW class! Get familiar with using healthier alternatives to white flour and white sugar as well as plant-based alternatives to butter and eggs. Are vegan cookies any good? I’ve been vegan for more than 6 years and feeding dairy-eaters my cookies – yes, yes my vegan cookies bring all the boys to the yard. You won’t know the difference and they’re cholesterol-free, too. 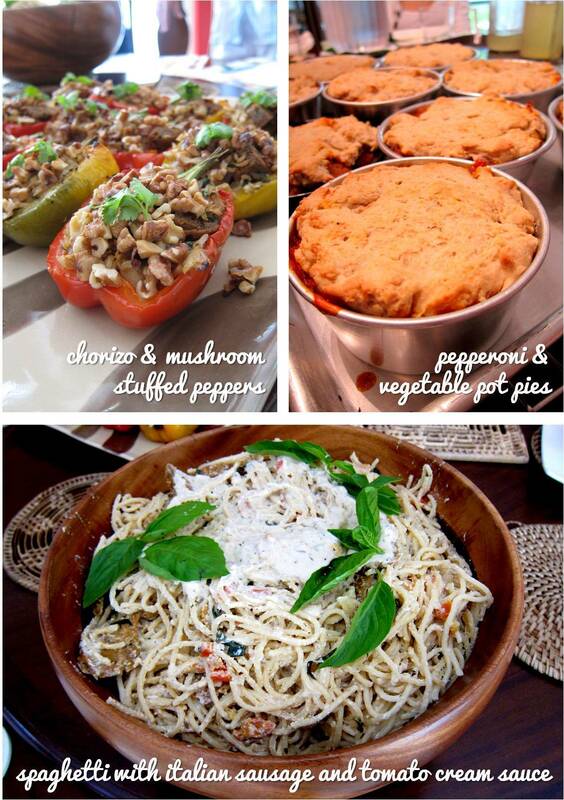 We end class with a healthy, homemade lunch. Please note: this class is not gluten free. RATE: P1850 if prepaid by October 13 Monday, P2150 after October 13 Monday (prepaying details here). Who doesn’t love pizza? Yes, herbivores don’t just drink green juice and eat salad all day. We like to let our hair down and occasionally nosh on one of Italy’s food legacies. For those who forsake dairy, ordering a cheeseless pizza may seem more of a chore than a treat. Why pay someone to make you a tolerable vegetable pizza when you can make one (or 8) yourself that you will actually want to devour? Come to this class and I promise, you won’t find better pizzas around. To the herbivores out there, you don’t want to miss this. And if you’re a meat eater? It’ll be an enlightening experience for you, too. Learn how to make all-natural vegetarian sausages from scratch. No preservatives, no fakey fakes, no cholesterol – just real, plant-based ingredients and big on flavor. Low fat, too, I might add. You’ll learn how to pair herbs and spices together to create flavours like chorizo, pepperoni, and Italian sausage (among others), and then turn these sausages into scrumptious savoury dishes. RATE: P1850 if prepaid by October 27 Monday, P2150 after October 27 Monday (prepaying details here). 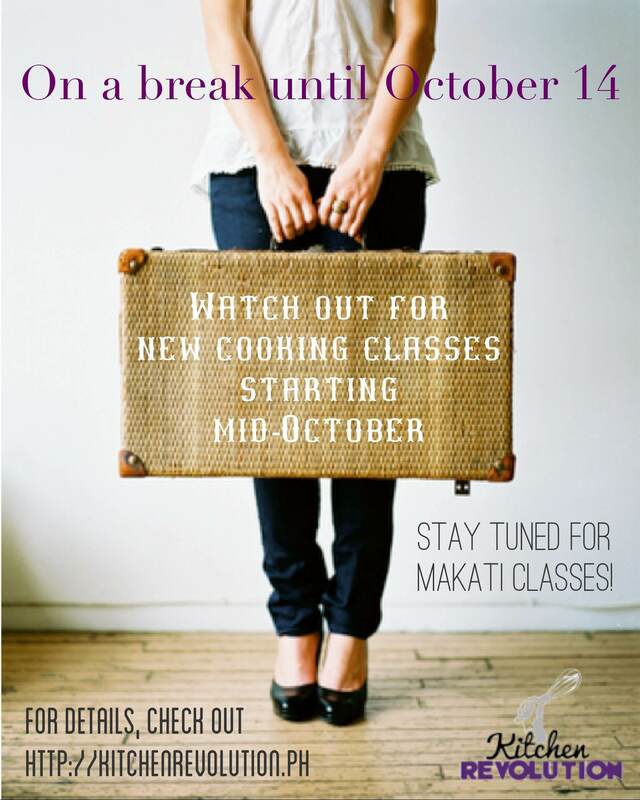 To register and get more class details, email info@kitchenrevolution.ph or fill up this form. Indicate food allergies / sensitivities if you have any. Hi Marie. I attended one of your sessions in a friend’s place. I’m happy to hear you have sessions in Alabang soon. Please email me the details on how to join, venue, and payment. Interested to attend all three sessions. If there’s no conflict. Left my email details above. Regards! Sorry for my late reply, I just got back from travels. Details are in the blogpost http://wp.me/poeTM-Dd ! I don’t publish my Alabang venue because it’s in a residential house. However if you’d like to sign up for a class, shoot me an email info@kitchenrevolution.ph. 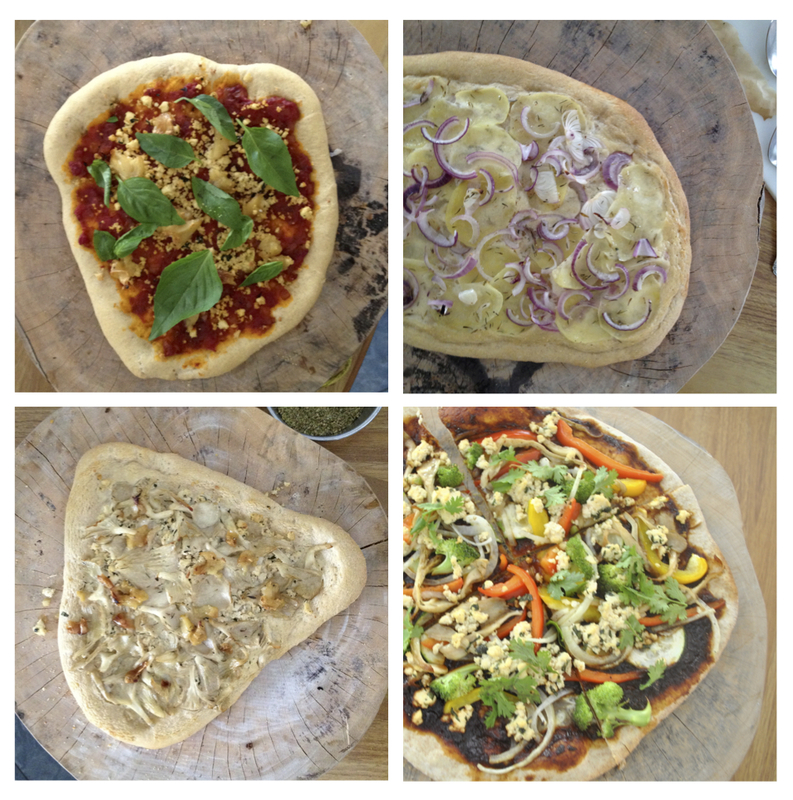 We’ve got Pizza on Wednesday and Sausages next week Wednesday!